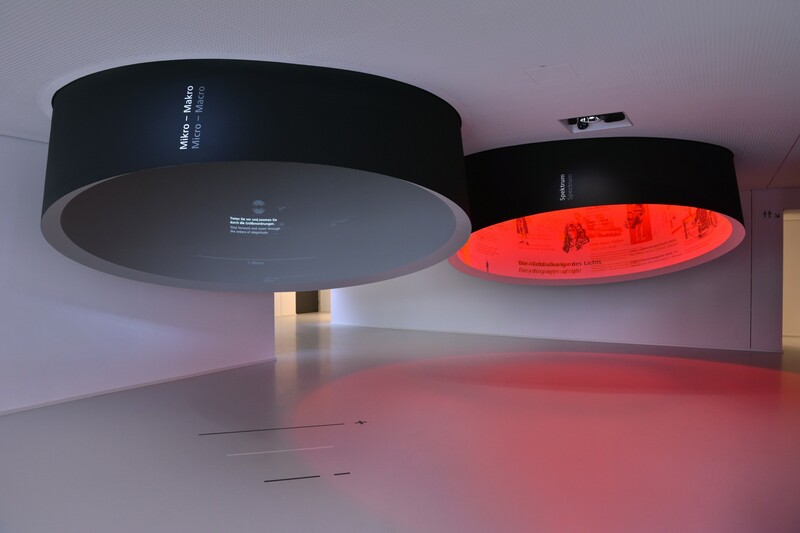 An interactive installation was developed for the ZEISS Museum of Optics in Oberkochen. 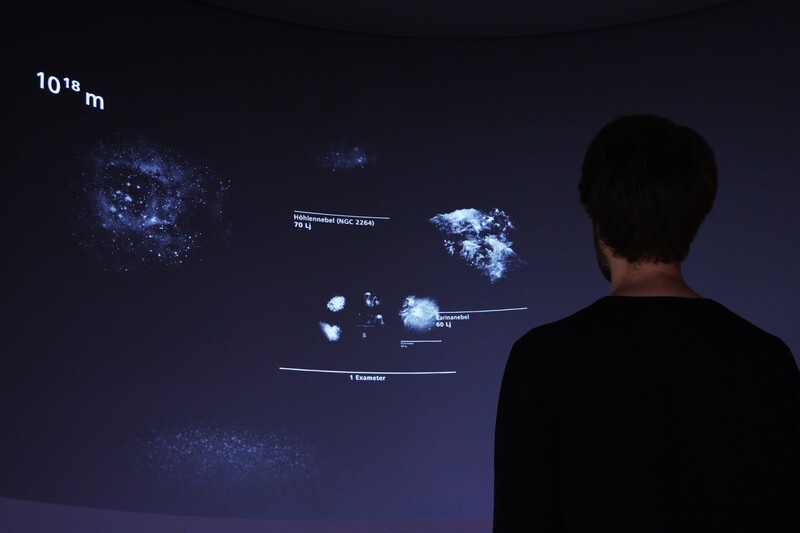 It allows visitors to explore the known orders of magnitude in an interactive way. A continuous zoom leads from the Planck length (1,616199 × 10−35 m) via atoms, microorganisms, everyday objects, countries, planets galaxies up to the size of the currently observable universe (2,80 × 1026 m). 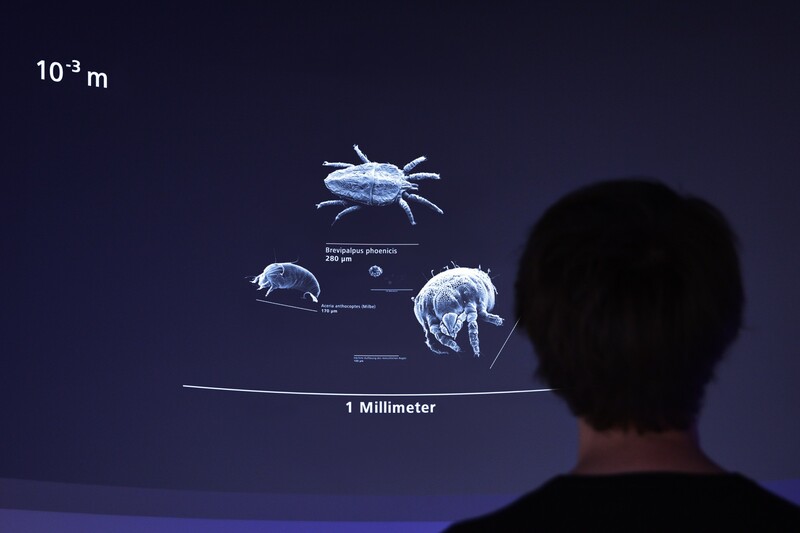 The user controls the zoom via the distance from the projection surface: zoom-in by getting closer, zoom-out by stepping back. 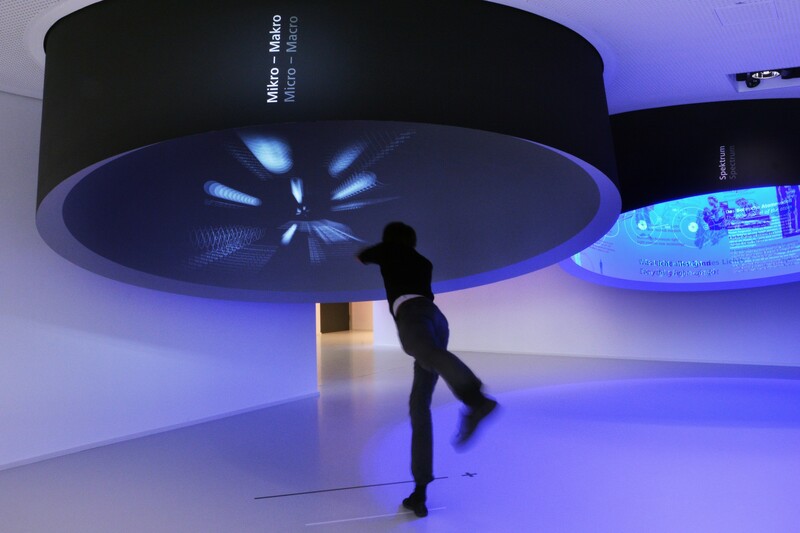 The speed of the zoom can be accelerated or reduced by using the hands additionally.